The #Vikings take over on the SD 45 after a failed 4th down attempt.
.@sharriffloyd and @EversonGriffen split the 4th sack for the #Vikings defense today. Considering the beating Philip Rivers has taken, I'm guessing Vikings will be 2-for-2 at home in sending opposing QBs for x-rays on ribs. 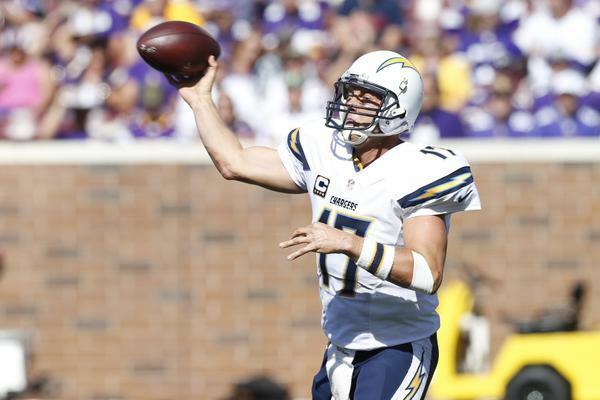 Kellen Clemens in at QB for San Diego right now. If the 31-7 score holds, it will be the largest winning margin (24) at home for the #Vikings since a 34-10 win vs. Arizona on 10/9/11. VIKINGS WIN!!! WHINE LINE CANCELLED!! 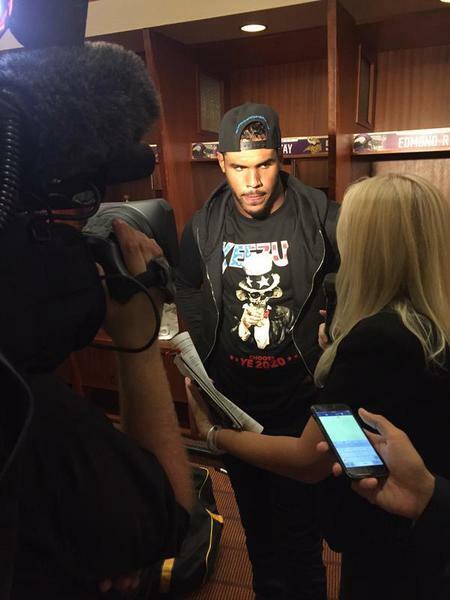 #Vikings #VentLine is LIVE NOW on @1500ESPN ! 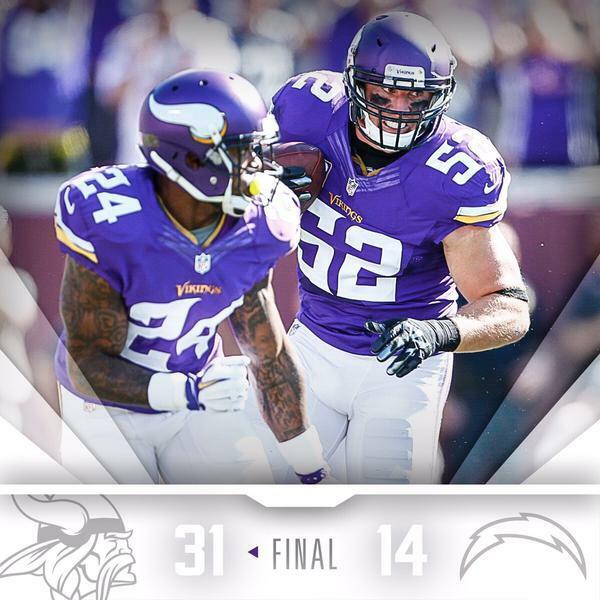 Vikings dominant the Chargers to the tune of 31-14 and were able to sit Peterson in the fourth quarter. Key Vikings concern for next week: Rhodes' status at Denver. Key Broncos' concern for next week: What this line might do to Peyton. Question of the Day on #VentLine : Give us one word to describe the #Vikings defense.
.@ceeflashpee84 is fired up about today's win! 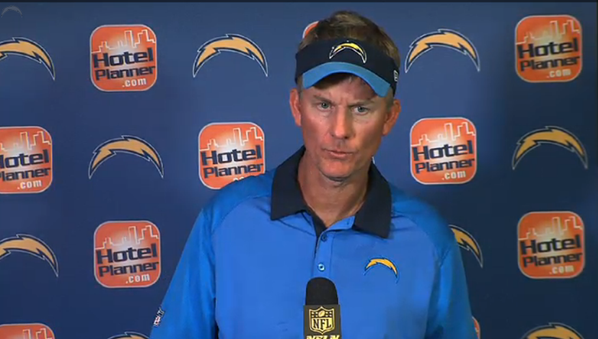 Coach McCoy: "We've got to get the job done, and we didn't get the job done today... We got beat." "Chad, a guy that's been here since I've been here...to see him perform and make a big play like that...I couldn't ask for anything more." The #Vikings have now won 5 straight at home and own a 7-3 at TCF in the midst of their 2-year stint at the U of M.
.@PAOnTheMic had plenty of exciting calls today. Send us a video at #VikingsConnected of your best Paul Allen call and you could be on TV! 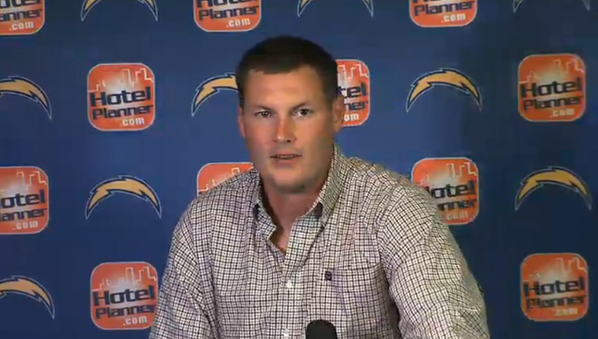 Philip Rivers says he had the wind knocked out of him, did not get injured. 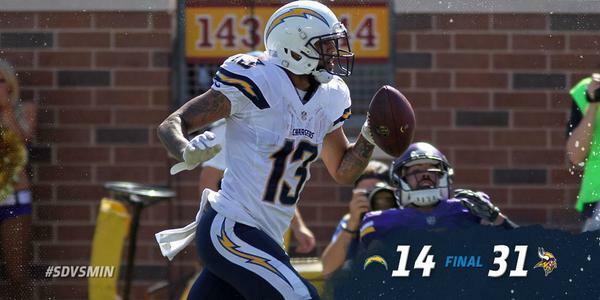 It was a tough day for the Chargers in Minnesota. Zimmer said Trae Waynes might've played anyway today. "With their no huddle, thought we'd get a lot of guys in there." Zimmer: Andrew Sendejo left the game with a leg injury.